The automobile manufacturer Carlsson who is specialised on Mercedes Benz, extends its co-operation with the leather lifestyle brand Etienne Aigner AG and will exhibit the world premiere of the Carlsson Aigner CK65 RS "Eau Rouge" Dark Edition at the Zurich Auto Show.Produced in small series, the luxury coupe is available with either a V12 Bi-Turbo with 705 hp or a second power level with 756 hp and 1,150 Nm. 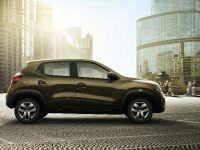 The newly designed car front dominates the exceptional appearance. 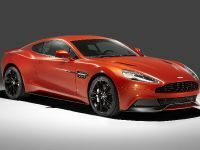 Both the front skirt with a front spoiler made of solid carbon as well as the car paint which renders appealing contrasts in two colours are eye-catchers. The special line Dark Edition of Carlsson Aigner CK65 RS "Eau Rouge" which is produced in small series and limited to only ten cars, is exclusively available in the double-coloured combination obsidian black metallic with Himalaya-gray. Shaded Bi-Xenon headlights with cone-shaped lights and the radiator grill with the jumping Carlsson horse perfect the front appearance. 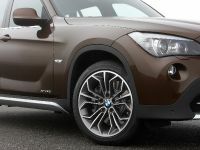 Moreover, the sides are dominated by the three-part forged rims in 21". The glazed finished surface of the light alloy rims manufactured in forged technology, offers an absolutely masterful appearance. 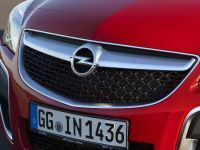 The electrically adjustable sport seats with multi-contour function and seat heating have been upholstered with high-class leather according to the philosophy of the Leather Lifestyle Brand Aigner. Superb craftsmanship characterises the newly created interior. With the ergonomically shaped Carlsson sport steering wheel in a Leather/Alcantara-combination, the driver can control the Carlsson Aigner in a very pleasing way. Carlsson sport aluminium pedal pads and illuminated door sill protectors, as well as numerous other optical refinements guide the way into a world full of luxurious elegance. 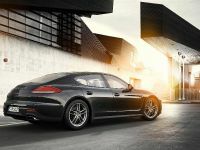 the complete car interior, including handholds, sun shields and rear screen frame has been covered with Aigner-Alcantara. The Carlsson sport exhaust system renders more output and an especially powerful sound. 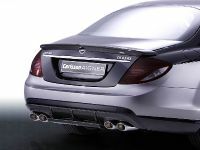 The rear section of the Carlsson Aigner CK65 is dominated by four end pipes in Carlsson design which impress by their sportive, earthy sound. In comparison to the serial exhaust system, the exhaust back pressure and pipe guide are optimised. 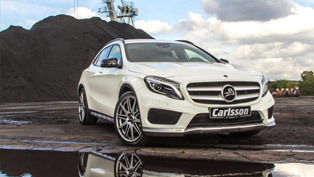 Therewith, Carlsson achieves an improved torque and a higher performance. The new Carlson aerodynamics kit once again skilfully underlines the elegant silhouette of the basis model. But the Carlsson Aigner CK65 "Eau Rouge" Dark Edition has its own identity and an own profile, both in the exterior and also in the interior. 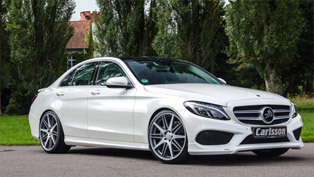 The front spoilers and rear skirt lip are designed in the typical Carlsson Diffuser Look and the striking rear spoiler also eases handling the luxury coupe at high speeds. 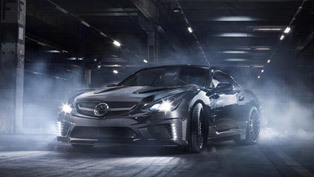 The exclusive Carlsson aerodynamics parts are made of high-class and ultra-light solid carbon, a material which is mainly used in the Formula 1. 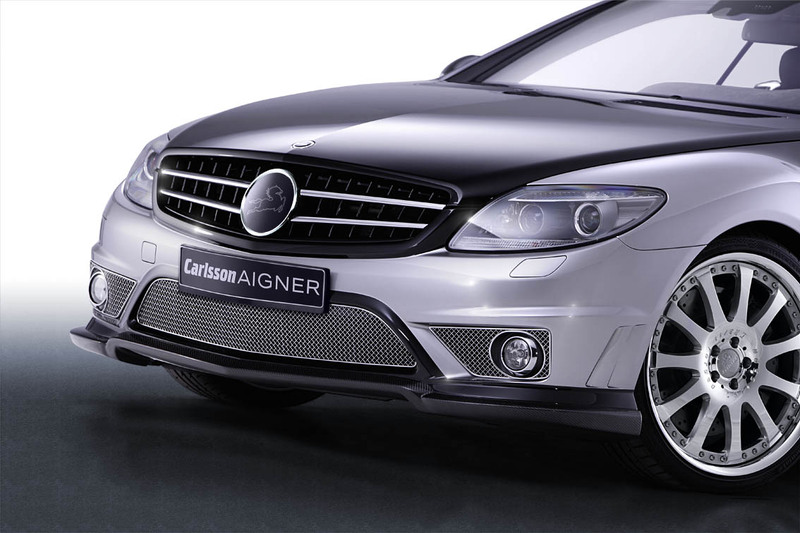 For the Carlsson Aigner CK65, Carlsson exclusively offers an electronic lowering kit C-Tronic® SUSPENSION which lowers the car by approx. 30 mm. But the Carlsson C-Tronic® SUSPENSION does not only lower the centre of gravity, but thanks to an elaborate technology, also allows an intelligent interaction with the conditions on the road. When the road conditions are bad and continuously strong deflections arise, the height of the vehicle is automatically adjusted and the necessary remaining spring deflection is maintained. The driver can feel the effects of the C-Tronic® lowering by a reduced curl and significantly more agile driving characteristics. 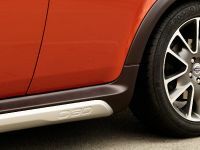 Therefore, the C-Tronic® SUSPENSION also stands for more driving pleasure. Moreover, the C-Tronic® SUSPENSION guarantees that even when driving faster than 120 km/h, the serially feasible maximum lowering – and therefore the minimum vehicle level – is not undercut. This permanently guarantees a sufficient deflection. Besides, the air resistance and the lifting forces are lowered, as less air is flowing under the vehicle. The Carlsson motor makeover includes especially adjusted motor electronics with special ignition maps for fuel injection and ignition. 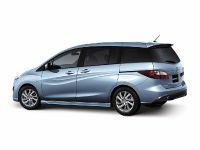 At the intake side, special sport air filters render optimal ventilation. 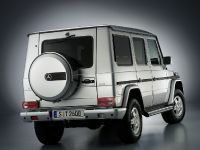 A sport exhaust system made of stainless steel optimises the exhaust back pressure. 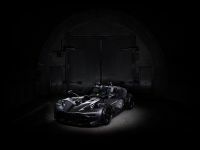 Therefore, the V12 is powerfully present in all situations and the driver can serenely draw on plentiful resources. Elegant and unsurpassed in its finish, the Carlsson Aigner CK65 is presumably the most exciting means of travelling at the moment. The Carlsson Aigner CK65 "Eau Rouge" Dark Edition with 756 hp offers a maximum speed of 335 km/h which is electronically regulated due to safety reasons and excels with an acceleration from naught to 100 in 3.8 seconds. With such results, the Carlsson Aigner CK65 outpaces nearly any other sports car. 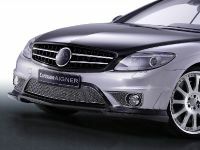 The limited small series Carlsson Aigner CK65 "Eau Rouge" Dark Edition shows the many opportunities Carlsson offers for making individual customer wishes come true. Tailor-made modifications such as Carlsson sport running gears, Carlsson engines, Carlsson top break systems, Carlsson wheel-tyre combinations, limited slip differentials or also individual Carlsson Aigner interior designs and unique automobile pieces are put to life with the help of the Carlsson engineers and qualified specialists. 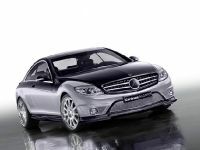 The idea, concept, preparation and finish especially show the performance efficiency of the Automobile Manufactory Carlsson. The Carlsson Aigner CK65 "Eau Rouge" Dark Edition surely is the most impressive proof for the successful synergy of two brands into a technically as well as creatively demanding automobile. Prices for the Carlsson Aigner CK65 "Eau Rouge" Dark Edition with V12 is start from 319,000 euros and for the V12 with Carlsson-Bi-Turbo in the second power stage from 374,000 euros.